It’s one of those classic books I had to read in high school and never quite understood why it’s stood the test of time. It’s dark and foreboding and I can distinctly remember not liking any of the characters. You’re not missing much by not reading the book. That’s the way it is with classics it seems… some of them are pretty great and some just make you wonder what the fuss is about! And I always hate it when I don’t like any of the characters, and in the movie most of the characters were pretty unlikable. I’m relieved to hear that this adaptation does not do the relationship in the book justice, because I thought the relationship came from left field (even though I knew it was coming!). Maybe one day I’ll check out the mini-series or the movie from the 80s. Thanks for sharing your thoughts, Danya! First of all, thank you so much for asking my opinion on this because I would feel bad leaving these long paragraphs otherwise! 😀 And I got in before Alisa! I look forward to reading her thoughts! I am a bit disappointed that you didn’t love this film, although I understand some of your issues. For me, this is the best of the ~2 hour film adaptations. (And in my opinion the best of the miniseries is actually the older 1973 version, but that’s another story!) I can understand not liking the movie as much because it is rushed, there’s lots that we don’t see, and I wish they had included some of those deleted scenes in the film as they would have been very useful in fleshing out the story. I really am not sure what I would think of the story if I had seen a film version of it before I read it – I might not have appreciated the film either. So it may be that knowing the characters so well allowed me to believe in their development on film so much. The reason why I like this film in particular by the way (I should really stop typing now though!) is that it captures the mood of the story and the nature of the characters so well to me. 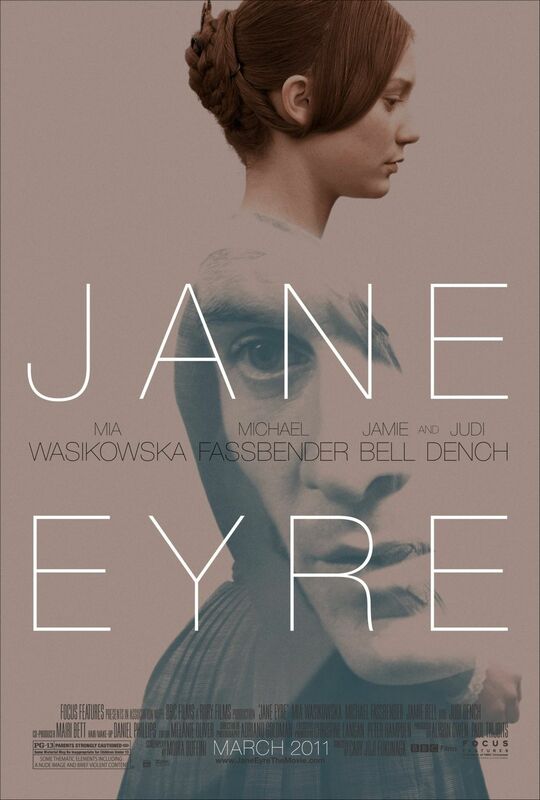 With a lot of the 2 hour films, Jane comes off as weak and I felt like Mia was amazing at showing her strength with just her bearing and her eyes, and Mr. Rochester is almost always a mess in these films. One-dimensional at best, and at worst very disagreeable. And I thought that Fassbender captured Rochester’s mercurial, eccentric nature without being over the top. For me, my favorite side of Rochester is when he is teasing, and I can not resist Fassbender’s way of showing that. Like in the scene when Jane asks for leave to visit Mrs. Reed. For me, this whole film was a gorgeously shot, acted and subdued portrait of Jane’s life. It would have been so incredible as a miniseries! Thanks Charlene for your thoughts, and I appreciate you taking the time to really explain your feelings! Based on what you said about the characters, I do have to agree that the characters were pretty well portrayed in the film. As you said, Jane does not come off as weak, even though she looks so fragile and and has had a hard life. And Rochester was certainly a bit eccentric. It was just the development of their relationship was so strange to me. I would be curious to learn more about how Helen really impacted Jane, because I didn’t get a strong sense of how in the film, just that she did somehow. Even though I liked the narrative structure of the film, just getting little glimpses of the past were probably not enough for me considering I had not read the book. And Rivers not nice in the book?! I mean, I guess that’s good for not shipping him and Jane, but he seemed super nice in the movie (again, until towards the end). I’ll probably try reading the book one day, I just don’t know quite when. I may have to check out one of the adaptations you mentioned as well. Thanks again! I agree with all your points especially St. John! He is really a horrible person in many ways, I think he cares more about his heavenly reward than people and how they feel in the book. I really intensely dislike him as a character! He doesn’t love or care for Jane in the way she deserves and though Rochester does really bad things I think his feelings are more sincere. Wow, he really didn’t come off the way in the movie! So sad that he’s a jerk! I was tempted to see this movie, although I felt I should read the book first. Your review has kind of put me off the movie, it doesn’t seem like one I am going to like. I feel like both characters would get on my nerves, and so would the romance between them. I might still try reading the book though. If you read the book and like, maybe the movie will be a nice supplement since you’ll know all the details I missed out on. I am sad that you didn’t enjoy this one that much! I really appreciated it because of the movie adaptations it was the most similar to the book in terms of themes and it actually used Bronte’s original prose rather than attempting to simplify it like so many other films have. I really liked Mia and Fassbender in the movie but I understand how you feel! I think perhaps you will appreciate the story more if you watch a mini-series adaptation! I definitely recommended the 1973 version in terms of fidelity to the novel (though be aware that the set design and costumes are VERY dated, I really like the actors in this one) the 1980’s version with Timothy Dalton is more updated and I prefer Michael Jayston as Rochester but it definitely is true to the novel. 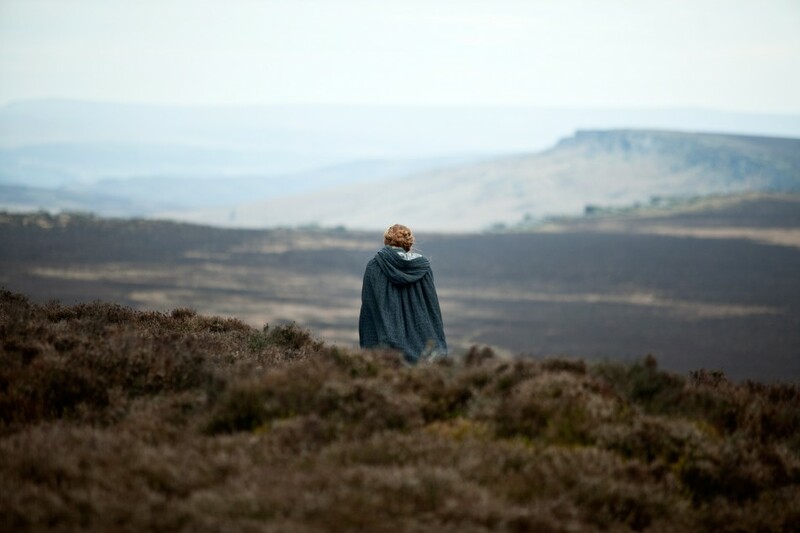 The 2006 is very popular and a lot of Jane Eyre fans love it but I wish they had kept a bit more true to the novel in terms of some of the themes, Ruth Wilson however is EXCELLENT as Jane and it is worth seeing. 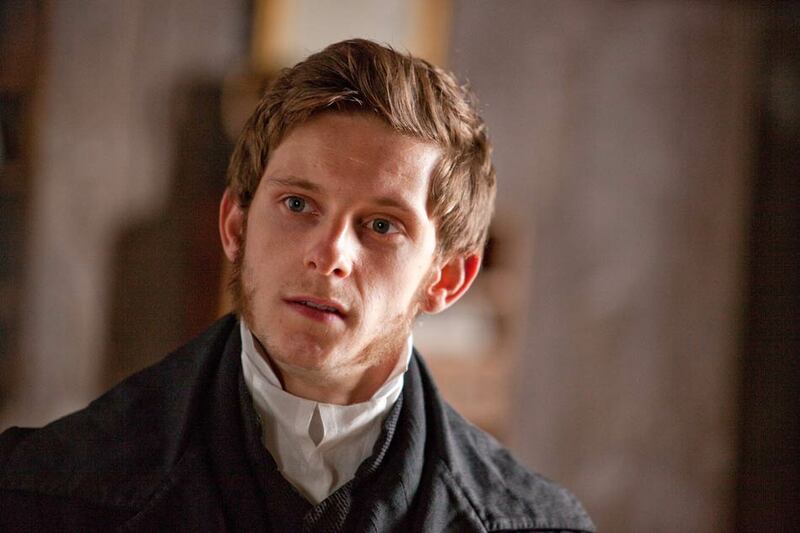 As for Rochester, he is a complicated character I think people tend to fall into two categories with him LOVE or HATE. For me I understand where he is coming from, he had a Father who really didn’t love him and basically sold him off in marriage to a woman he barely knew, who it turns out was mad. I think it gives more of an explanation for why he choses to keep it secret and why he keeps her in Thornfield, because of the bad conditions in asylums in this period. He certainly does some terrible things in the book but I think it is because he is desperate and you get more of his redemption/remorse for his actions in the book than you can in a 2 hour movie. I think in the book you get the sense of how much he values Jane and respects her, in spite of his selfish actions. I like that he is complicated and I certainly love his growth throughout the novel! Thanks for your thoughts, Alisa! Hopefully I’ll have the chance to check out one of those other adaptations and/or the novel sometime, and get a better grip on the characters and everything. I can see how you would really enjoy the movie if you already knew the story, but I don’t think it was the best introduction into the story. I could totally see that! I think perhaps it is just a story that is more suited to a longer format! This is the only adaption I’ve watched but I have read the book and I do agree, their relationship was definitely underdeveloped. I’m a fan of silences in movies, of the quiet thoughts, but in the book there is so much contemplation, thoughtful and provocative discussions between the two that I missed them in the movie. In the book you can see their affections arise over the course of the book. That being said, I found the book dry to read — it took me a long time to finish it. Maybe it’s because I’m not as smart as the characters, but they were talking so much philosophy and had such extensive vocabularies that I was lost a lot of the time just trying to understand what they were saying. That was five years ago, so maybe I should give it another go. I think you should read it too. Then we can have long-winded, intellectual conversations about it, haha. That does sound like it might be hard to get through, but that doesn’t mean I won’t check it out one day. At least I know their relationship actually develops in the book!